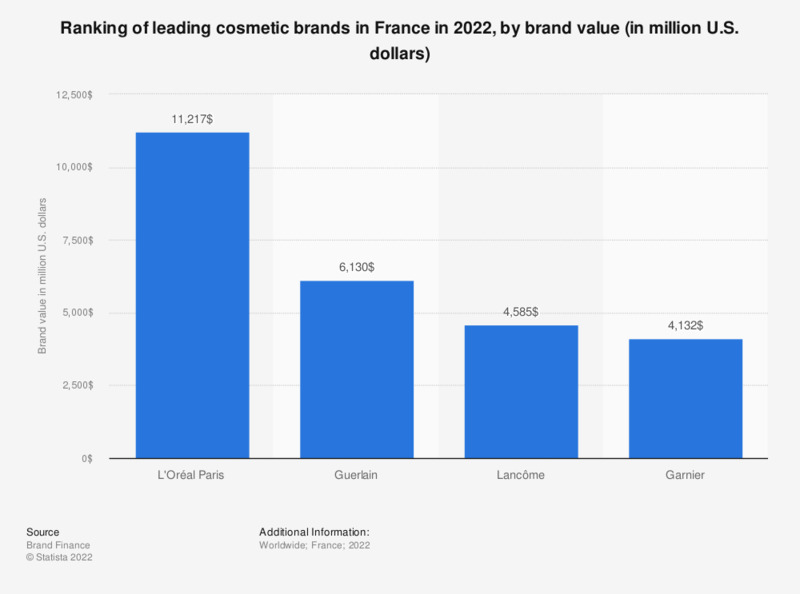 This statistic represents the most valued French brands in the global cosmetics sector in 2016, in million U.S. dollars. The most valued cosmetics brand was L'Oréal Paris with a value of over $ 13.6 billion in 2016. The value of the marks was calculated using the "Royalty Relief Methology". Everything On "Cosmetic and hygiene products in France" in One Document: Edited and Divided into Handy Chapters. Including Detailed References.